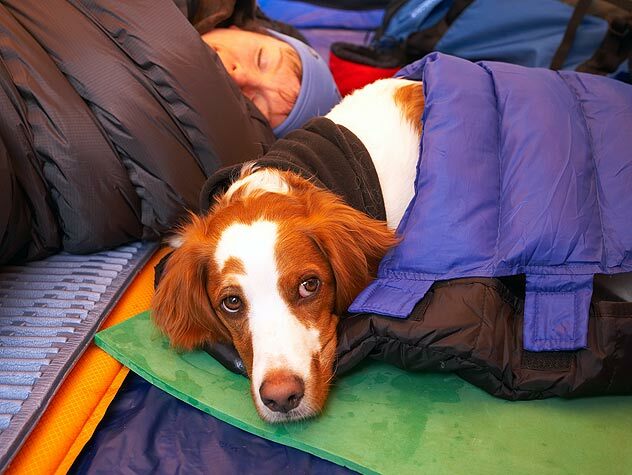 Planning ahead is the key to keeping yourself and your companion animals safe during a disaster. Listed below are some tips that will reduce the risk to the animals that you are responsible for. For tips on how to keep the people in your family safe, contact your local chapter of the American Red Cross. Always keep a collar and tag on those animals that should normally wear collars. This includes cats that never go outdoors. When putting a collar on a cat be sure it is a break away collar, which is designed to slip over a cat’s head should the collar get caught on something. During a disaster an animal can escape and a collar and tag increases your chances of getting the animal back. On the tag, include your phone number and address. Remember the phones may not be working, so in order to reunite you with your companion animal an address is necessary. You may want to consider tattooing or microchipping your animals as a more permanent form of identification. If you have been evacuated and are going to be living away from home for an extended period of time, you should put a temporary tag on your animals with a phone number, other than your home number. If someone finds your animal and tries to call your home number, there is a good chance it will not be working during a disaster. Identify several possible locations where you can take your animals should you have to evacuate. These would be places that would not likely be affected by the same disasters that would hit where you live. This would include boarding kennels, veterinary clinics with boarding space, grooming facilities, dog and cat clubs, and training clubs. Don’t forget to consider friends and family members too. Look for hotels/motels that accept animals. Bookstores sell books that list “pet friendly” lodging. Some hotels/motels may not normally allow animals, but they may make an exception during a disaster, so make some inquiries. It is important to know that Red Cross evacuation shelters will not allow animals, other than seeing eye dogs and other recognized service dogs. If you are not sure where to take an animal when you evacuate, do not leave them behind, as this greatly increases the chances that an animal will not survive. Start a buddy system with someone in your neighborhood, so that they will check on your animals during a disaster in case you aren’t home. Agree to do the same thing for them. Exchange information on veterinarians and have a permission slip put in your file at the vet, authorizing your “buddy” to get necessary emergency treatment for your animal should you not be able to be reached. If someone watches your animals while you are on vacation, talk with them about a disaster plan to be used to evacuate and care for your animals in your absence. In addition to your regular supply of animal food have at least a weeks supply of food on hand to be used during a disaster. Store the dry food in an airtight/water proof container. If you use canned food, buy the flip top cans or have a can opener with your disaster supplies. Do not use canned food that has been opened and not refrigerated for an unsafe period of time. You should also include any favorite treats that your animals like, which can be a comfort to them during the stressful time that follows a disaster. Chew toys can help entertain a dog that might have to be chained or confined in a crate for the first time, or for longer periods of time than they are used to. Continue to feed your animals the food they are used to and put it out as close to the normal time as you can. Keeping them on their regular routine, the best you can, helps minimize the stress they might be feeling. If you feed canned food to dogs and cats, reduce the normal amount by half (supplement with dry food) to reduce the possibility of the animal getting diarrhea. You should have at least a weeks supply of water in storage at all times for your animals. It can be stored in the gallon containers it is purchased in, but do not keep it in direct sunlight, as algae will start to grow. Be sure to rotate the water at least once every other month. It is important to not let animals drink flood water or any other water sources that may be contaminated as a result of a disaster. If officials have issued a “boil water” warning, that means that the water that comes out of your tap is not healthy for people and animals to drink. If you are drinking bottled water or purified water during a disaster that is what your animals should be drinking too. Take several pictures of all the animals and keep these pictures with your important insurance papers that you would take with you if you have to evacuate. Be sure to include in the pictures any distinguishing marks that would make it easier to identity an animal. These pictures can help reunite you with a lost animal. Store the pictures in a resealable plastic bag in case you have to post them in the rain. Before a disaster strikes, talk to your veterinarian to see if he/she has a disaster plan. Your animal may need medical attention after a disaster has struck and you need to know where to take your animal. If your regular veterinarian does not have a plan, locate a veterinarian in your community who does. Knowing in advance where to take an injured animal may save that animal’s life if it is in critical condition and time can’t be wasted. Keep a first aid kit and first aid book in your disaster kit for your animals. Assembled kits and books can be bought at pet supply stores or ask your veterinarian for a list of what should go into a first aid kit if you want to put one together yourself. If you have a houseful of animals, putting together a kit yourself is advisable, as the prepackaged kits will probably not contain enough supplies. If an animal is on long term medication, always keep a backup supply on hand, since a veterinary office may not be open for some time following a disaster. If the medication needs to be refrigerated, keep an ice chest on hand to store it in, in case the electricity is off and you are unable to use your refrigerator. If you need ice, you can usually get it from a Red Cross shelter. Have assembled and ready to go, a cat carrier to evacuate each cat in your household. An “Evacsak,” is an alternative to a carrier. It is similar to a pillow case, but is a much safer and more secure way to transport a small animal. They take up a lot less space than carriers, and if you have a house full of animals that need to be transported, you can get a lot more Evacsaks into a car. They can be purchased by contacting Animal Care Equipment and Services at 1-800-338-ACES. A carrier would then be used to house a cat if you have to be away from your home for an extended period of time. Be sure to have a shoe box size litter box and a food and a water dish to use in the carrier. Have a harness and leash for all the dogs in your household. 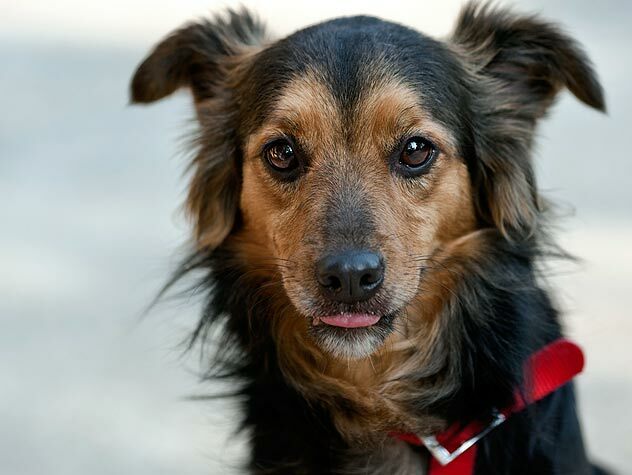 If you have to evacuate, dogs can become frightened and if you only have a collar around their neck, they may be able to pull away from you and have the collar slip over their head. A harness will allow you to securely control your dog. If your dog rides in the car, always have a leash in the vehicle. A disaster may occur while you are away from home, and if you should have to abandon your car, you want to be able to keep your dog safely controlled. You may want to get a harness and a leash for your cat too, in case you have to keep them confined in a cage while you are living away from home. If they are not used to being in a cage, a harness would allow you to safely take them out of the cage and give them some exercise. Do not leave a cat unattended though while it is on a leash, otherwise, the cat might end up strangling itself. Have a stake out chain for all the dogs in your household. Walls and fences may come down during a disaster and it may be necessary to keep your dog confined on a chain leash until repairs can be made. Be sure the chain is long enough for the dog to move around, but not a length where it might get tangled around something and cause the dog to choke itself. Shelter from the elements should be within the dog’s reach too. If you do not have something to attach the chain to, you should get a stake that screws into the ground. Be sure it is secure for the size dog you have. Pet supply stores sell a variety of sizes. If your dog is kept in an outdoor run, make sure it’s in a location where falling debris (tree limbs, shingles, power lines, chimney bricks, etc.) won’t fall on the run and possibly injure the dog. If something were to fall on the run and possibly prevent opening the door, you should have a heavy duty wire cutter, in case the dog was trapped inside and had to be freed. Be sure and comfort your animals during a disaster. They are frightened too, and having you near to give them a hug will help. It will probably do a lot to help you too. If an animal is not ready to be comforted though, do not force it. This is especially true for cats. Let an animal come to you when it is ready. Know where the animal shelters or animal rescue organizations are in your area. You may need to visit them after a disaster to look for a missing animal. It is important to start looking for a missing animal as soon as you realize it is gone, as some shelters may not be able to house for a very long time large numbers of displaced animals that arrive during a disaster. For more detailed animal disaster tips, you may want to purchase the book Out of Harm’s Way, written by Terri Crisp, the Director of United Animal Nation’s Emergency Animal Rescue Service program. The last fifty pages of the book have life saving tips for domesticated animals, horses, and livestock. Any one who has animals should have this valuable resource guide. Plan ahead for a safe place to take your pets. Doing your research in advance will save you precious time in a disaster.